Kris Hartley, left and Jennifer Howell pose for a photo in their Duquesne home last week. 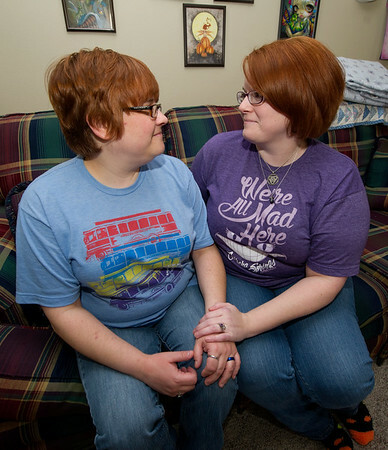 The couple were recently married in Eureka Springs, Ark. and are concerned how they will be affected by the new administration.